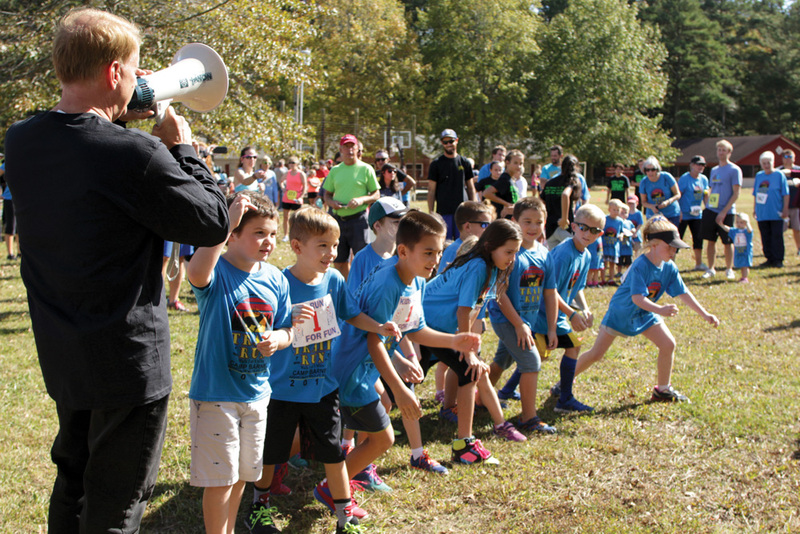 Children line up for their race during last year’s Mariner’s Trail Run event. For the past 16 years, Bill Lord has been organizing and running the event, and it all started with a little proposal from the church to its members one day during a worship service. The event has gotten so big over the years that Lord and Hughes reached out to Tim Bamforth and Seashore Striders event productions to help track all of the runners. And all proceeds from the event go back to the church, to help with their CRASH youth group’s mission activities. The event is truly for people of every fitness level. Participants who choose to run will be chip-timed on the course, either over 7 miles or on the 5K. Recreational walkers can participate in either a 1- or 3-mile event, and there will also be a Kids Run taking place. All events will begin and end at Camp Barnes. The course showcases autumn views of the bays and marshes in the Assawoman wildlife area, and organizers said it is truly one of the nicest fall runs/walks in lower Sussex County, with hard-packed roads and manageable trails. Following the race, there will be a home-cooked lunch served by the fireplace, with live music, and age-group awards for first, second and third places, and lots of other fun for everyone. On-site registration opens at 11 a.m. on the day of the event, with the Kids Run going off at 12:50 p.m. All other races will take off at 1 p.m. Pre-registration discount rates are available through Sunday, Oct. 14. Pre-registration guarantees an event shirt. Costs for those pre-registering for the 5K or walk are $25, while the 7-mile run costs $35. Kids 12 or younger pay $10. On the day of the race, all racers will pay an additional $5, with the exception of the kids 12 or younger. Lunch tickets for non-participants cost $7. For details on registering for the event, check out www.SeashoreStriders.com. For more information on the race, call the church office at (302) 539-9510 or go online to www.marinersbethel.org. Sponsorships are also available.